For the upcoming fall season Creed has launched two new additions to their line. There’s a new Les Royales Exclusives perfume in White Amber ($545 to $985) and to celebrate this new launch they’ve also released a sampler coffret with 6 vials of each of the Royales Exclusives scents for $70. Both are currently exclusive to the Creed Boutique (online and in stores). The special thing about the coffret is that it comes with a $50 voucher you can use toward a future purchase of any CreedBoutique.com purchase of $215 or greater. If you’ve been curious about the Les Royales Exclusives line but don’t have a store or counter near you or want to take some time with samples to explore or enjoy these this is a great set. Based on previous posts I’ve been thrilled to find quite a few of you are already devoted fans of Creed. This is one of the most luxurious expensive perfume lines I’ve tried and since perfume is such a personal thing I have been really excited to find quite a few other Creed lovers. For those not familiar with the line, you can take a peek into their beautiful New York Boutique here (you can also read about it on Cafe Makeup here). Creed is a family owned business that has been passed down from father to son for seven generations. The Les Royales Exclusives line is their premium line made with the highest quality ingredients – which are handpicked and many are rare or hard to find. Each of the six fragrances are designed, made and filtered by hand. The presentation is just exquisite and a work of art. 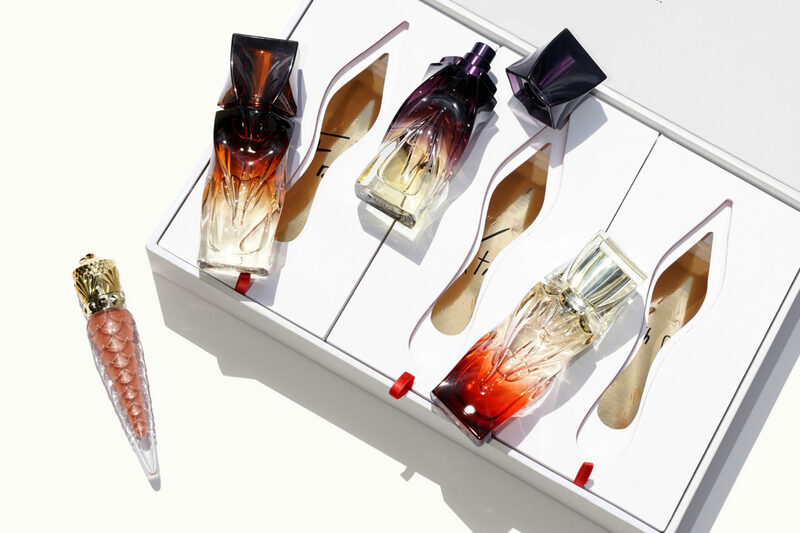 They are bottled in a hand-crafted glass bottle by centuries-old Parisian glassmaker, Pochet. The newest scent White Amber is described as a fruity floral. On me I love the dry down which has notes of soft amber, jasmine, apple with a tiny bit of sandalwood and a slight powdery feel. It’s a light fresh unique kind of perfume and it’s one I can see myself wearing as a light fall scent or one for spring. The bottles are the prettiest thing I think I’ve ever seen – it looks like something royalty would have on their dressers or bathroom counters. At $500+ per bottle these are quite the splurge. I would personally have put these on my wishlist for a special occasion like an anniversary gift, but I am beyond thankful that Creed offered to send these for a feature. I just took a look at their website though and don’t know if this is new – but some of these are now available in a smaller bottle and lower price point of $250 for 1 oz/30 ml – I’ll note which ones are available below. I already own and love Jardin d’Amalfi. 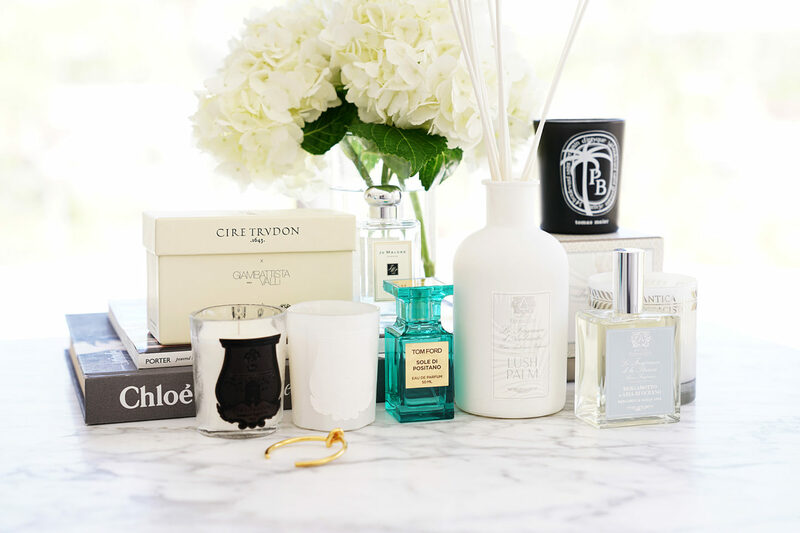 I’ve smelled the rest on a couple other occasions at Lucky Scent and the Creed New York Boutique and they are all beautiful. Quick note – roses were my hubby’s Valentine’s Day gift to me in February. He bought them from Venus Et Fleur which carries boxed roses that last an entire year. I’ve been documenting how they look each month on Instagram because I was really skeptical that they would last that long. Will be doing a post about them – not sure if I’ll wait for the entire year or do it earlier, but I’m so impressed! Bottom line the coffret is definitely worth looking into. I wish more perfume brands would do this – even though the $70 seems spendy for tiny vials, the fact that it will come with a $50 voucher makes it more than reasonable (in my opinion). White Amber is a gorgeous addition to the line – I really love the way it dries down. Lasting power in general for Creed is very good for me but your mileage may vary depending on your body chemistry. 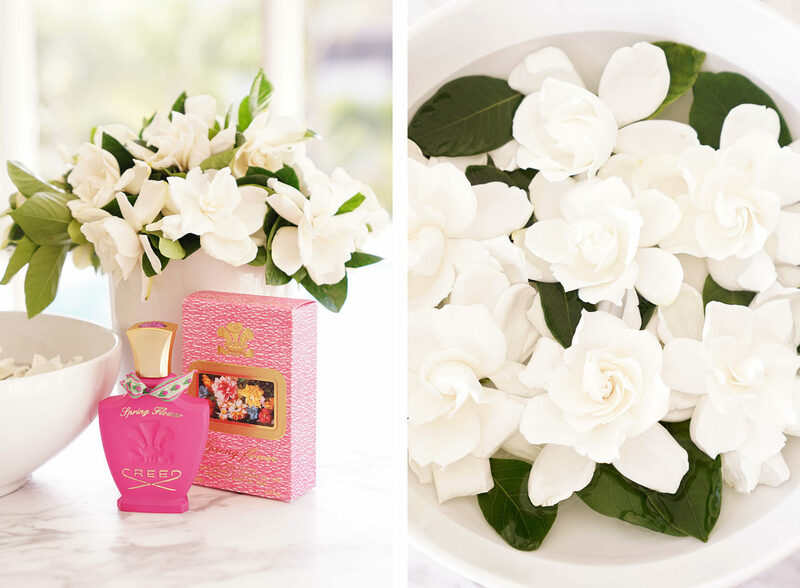 To date my favorite summer scent is Virgin Island Water reviewed here). It’s literally the best vacation scent and perfect for the Florida weather that I’m living in. I wear it constantly. My husband’s go-to has been Aventus for Men and it’s seduction in a bottle – to me it’s the ultimate hot guy scent. 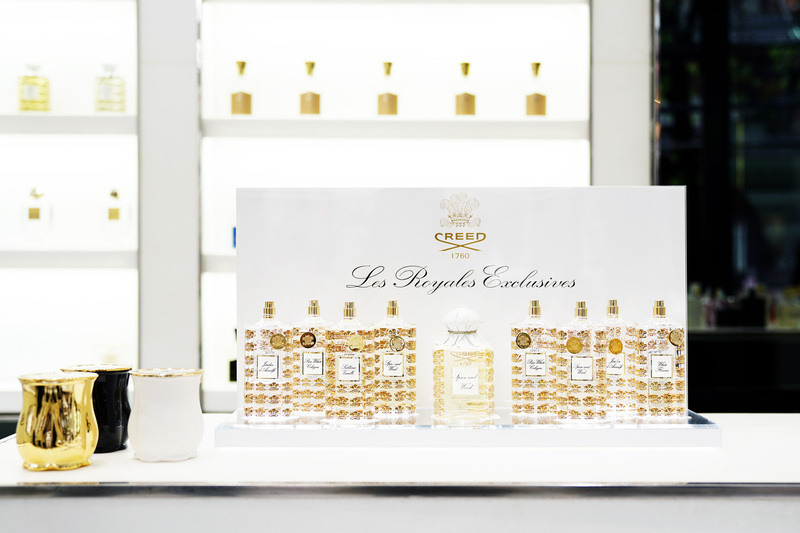 You can find both White Amber and the Les Royales Exclusives Sampler Coffret exclusively at Creedboutique.com now. White Amber will roll out to Neiman Marcus in early August. Have you tried anything from Creed lately? Les Royales Exclusives and Coffret provided courtesy of Creed for review. I have some more Tom Ford Beauty newness to review in makeup and fragrance. I had already featured a large portion of the Summer Soleil collection last month and am still enjoying everything very much. After a bit of browsing online I noticed a few other products pop up called Paradiso in the Cream and Powder Eye Duo, Cream Cheek Color, Moisturecore Lip Color and Lip Color Sheer. Some other new launches includes a new perfume called Sole di Positano (already shown in this roundup here), Private Blend All Over Body Spray extensions to include Fleur de Portofino and an Dry Oil Spray in Soleil Blanc. Up first are the scent and body extensions. I’m a huge fan of Tom Ford perfumes even though are on the expensive side. The Private Blends are my favorite and the best one I’ve bought include the Soleil Blanc and Fleur de Portofino. The latest is Sole di Positano which I’m obsessed with for spring. It’s fresh, green, bright different from anything I’ve tried before. Of course when I saw the body sprays and a dry oil spray I was intrigued. They are priced significantly lower so I had to investigate. I bought the Fleur de Portofino All Over Body Spray and the Soleil Blanc Dry Oil Spray and I have to say that the perfumes are the better buy for lasting power and strength. The Body Spray lasts a long time on me if I’m indoors but fades quickly on me if I go outside. Something with the Florida air, heat and my body chemistry doesn’t seem to want to hold the scent. The Dry Oil Spray has a very faint Soleil Blanc scent with a raw oil kind of scent if that makes sense. This one was a disappointment to me in terms of smell – I had expected it to be all kinds of amazing as I love the perfume, but I can barely smell it on me. That being said I had it on all over and my husband walked by me and said “wow you smell really good” which surprised me as I feel like the perfume version is more noticeable. For color there’s a new Paradiso Cream and Powder Eye Duo. The cream side is lighter and more pink compared to Golden Peach while the glitter side is darker than Golden Peach. I love the cream from Paradiso and the powder from Golden Peach (go figure). I do think they’re different enough to justify both but you might disagree. I swatched them side by side so you can decide for yourself in the event you don’t have a counter near you. Swatched below Laura Mercier Caviar Eye Stick in Rose Gold + Tom Ford Cream Color for Eyes in Opale (also reviewed here) as a reference for what I consider more champagne/neutrals next to Paradiso and Golden Peach. For the cheeks there’s also a new Paradiso Cream Cheek Color which at first glance I thought was Pink Sand. If you put them side by side you’ll see the difference. Paradiso has the same gorgeous luminous glowy quality that Pink Sand does. Right now that I’ve gotten more color Pink Sand is almost highlighter material for me while Paradiso is more like a blush. I love this. I’ve only had a chance to test it for one day as it’s something I had to put on immediately – lasting power is quite good for a cream blush. I can’t say how it will perform in super hot humid weather yet but will keep testing it in the upcoming months as the season shifts. Swatch comparisons to MAC Quiktrick Stick in Miss Cupcake/Tomato, Tom Ford Cream Cheek Color in Pink Sand, Paradiso and Pieno Sole, Tom Ford Sheer Cheek Duo in Paradise Lust. The cheek duo has more pigment and is less dewy than the cream cheek color. A quick look with Tom Ford Cream and Eye Powder Duo in Paradiso, Waterproof Extreme Mascara, MAC Next to Nothing Foundation in Medium Plus (review soon), MAC Mineralize Skinfinish Natural in Medium Plus, Tom Ford Cream Cheek Color in Paradiso, Tom Ford Moisturecore Lip Color in Carriacou (also reviewed here), top by Rag and Bone. For those curious, I did not buy the Paradiso Lip Color Sheer (I already own it, review here) or the Paradiso Moisturecore Lip Color – they are pretty much identical. I get a quick swatch of them at the counter. Bottom line, I love the Paradiso eye and cheek items. I do think they’re worth owning even if you have Pink Sand or Golden Peach. For the body and fragrance, I wanted to love the body spray and oil spray – I just think the perfumes are the better buy, although I do like the body spray. I would entirely skip the oil. It added a nice sheen to the skin but I didn’t notice a lot of added hydration my skin other than a light oil. Brands like Caudalie, Moroccanoil or Nuxe have better body oils in my opinion. If you try one new fragrance this spring, I think it should be Soleil Blanc, Fleur de Portofino or Sole di Positano. You can find all the items at counters now. Available online at Sephora, Neiman Marcus, Beautylish and Tom Ford Beauty. Sole di Positano Provided for review consideration.